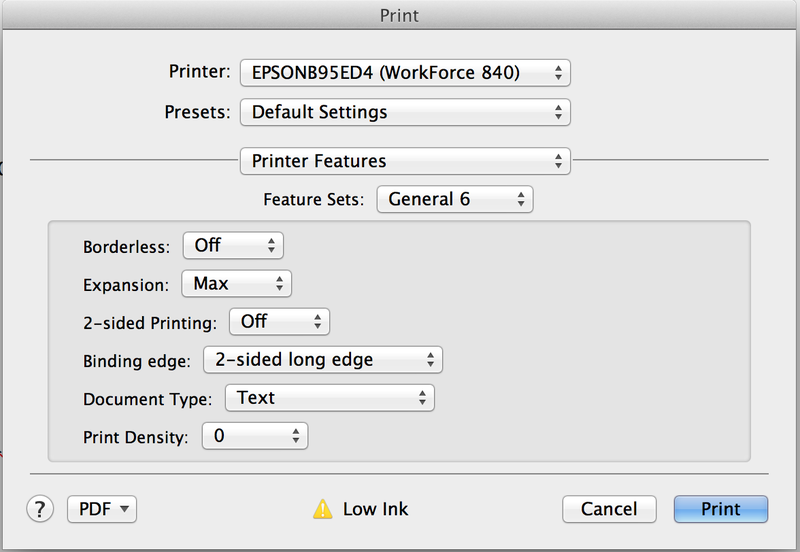 Epson recently released a driver update for OS X 10.9 Mavericks which automatically shows up within the Apps/Software update menu. 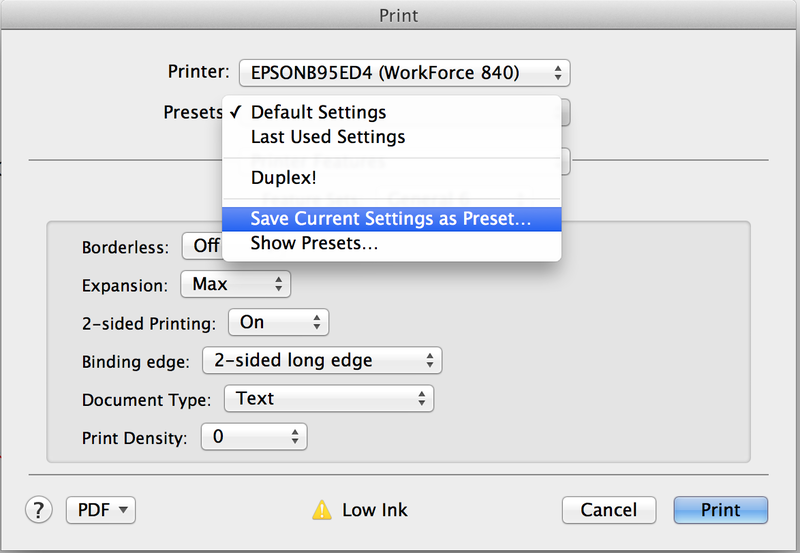 Like most users my wife dutifully added the update which then removed her duplex printing settings. 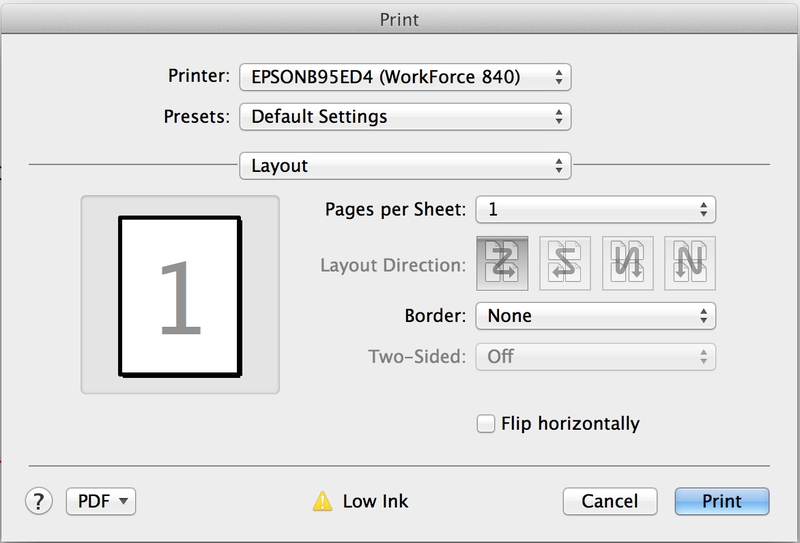 Notice the “Two-Sided” printing option is off and grayed out. While I’m sure this was unintended it did pose a real problem. After reinstalling drivers and the printer itself several times I found the following fix. You’ll notice that buried within this sub menu is the option we’re looking for. 4. In order to ensure you never have to set this option again save your new settings. Symptom: Upon login OS X Mavericks continuously prompts you for a Key chain password which does not match either your iCloud/iTunes credentials or your local login credentials. * On the Finder menu, click on “Go”, then on “Go to Folder”. A box should come up. * On the box, type in “~/Library/Keychains/” and click on “Go”. It should lead you to the Keychains folder where you will find three items: (1) a folder with a name mixed with letters and numbers, (2) login.keychain, and (3) metadata.keychain. * Delete the folder with a name mixed with letters and numbers. * Restart your computer. Check to see if the problem has been solved.